God’s love is the only true constant in the universe, but the other is change. Keeping up with change and modern times can be difficult for many well-established, traditional churches. For Archbold Evangelical Church, the goal was to move away from the traditional church model and develop a relevant focus that would be embraced by the community. 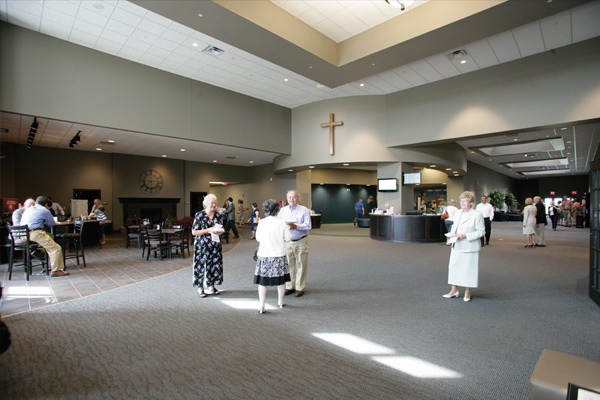 To accomplish this, Archbold’s vision was to develop a flexible, multi-faceted space that could be used to bring groups – large or small – under the roof of the church in one location. 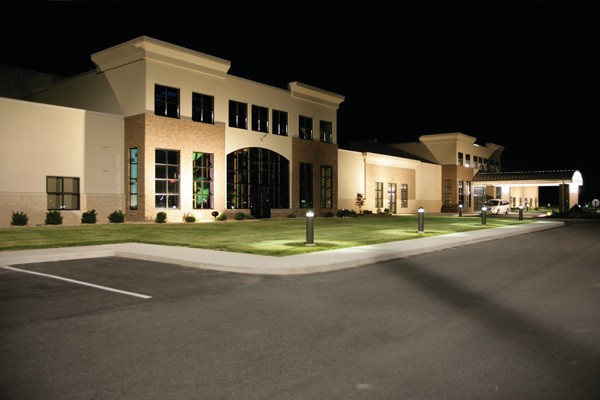 The McKnight Group worked with Archbold Evangelical Church on a building strategy that would not only meet their current design and ministry needs, but also be adaptable for future growth when needed. The church features a dedicated 500-seat worship area and another 500-800 seat multi-purpose worship and athletic space. 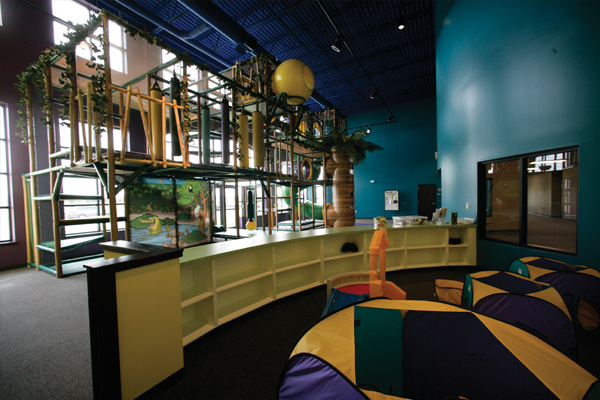 There is also an indoor playland for children, full-service kitchen, a lobby with a café and library and an education pod with eight classrooms that can easily be divided into 16 if needed. 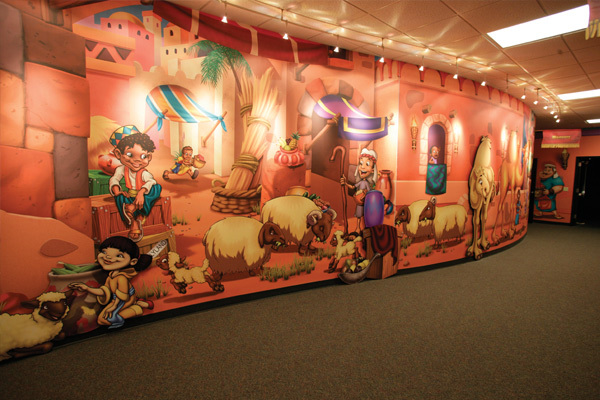 The worship area features dynamic visual elements, and a Wacky World artist was contracted to bring color and creativity to the children’s area. An indoor walking path was integrated for seniors to exercise and there is also a fireside room with an adjacent quilting facility. 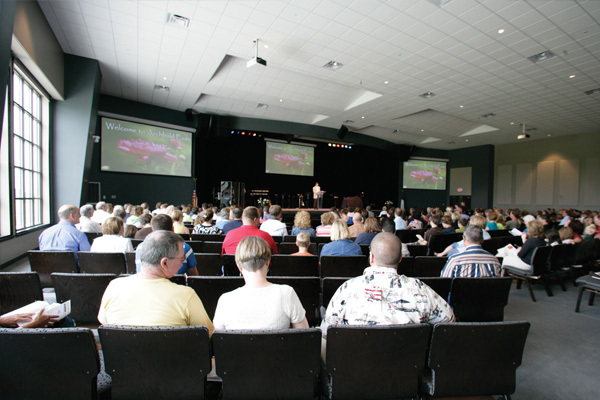 Archbold Evangelical Church has become a premier gathering facility and is highly utilized by the small farming community that surrounds it. The church supports schools, businesses and other organizations by providing an inviting and flexible facility that helps strengthen and grow their membership. -Andy Brodbeck, Archbold Building Committee Chairman.